Pinking sheers if you’d like to be a bit creative with the edges! 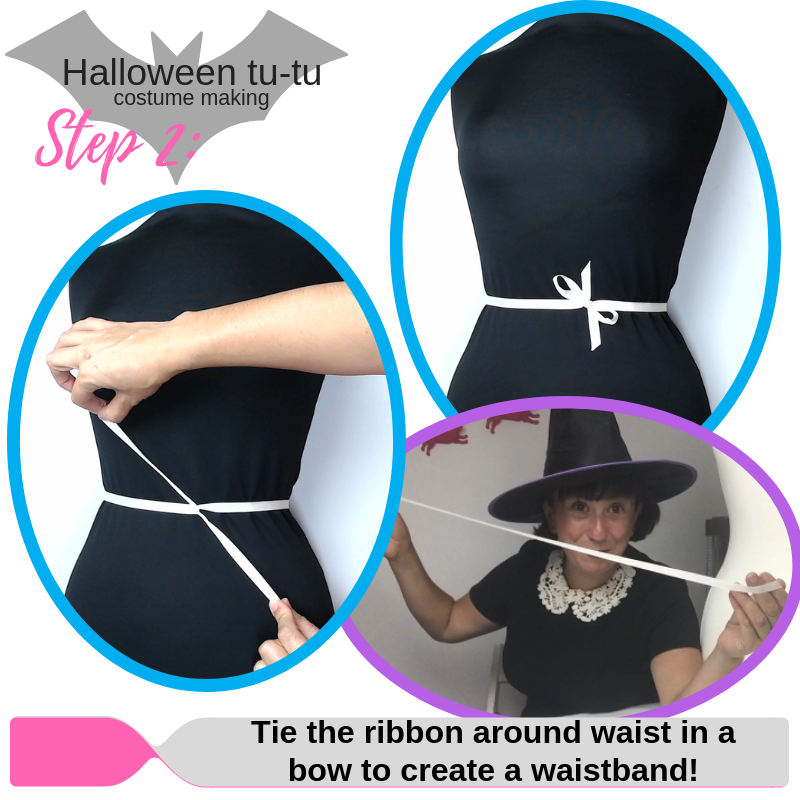 Step 1: Tie a ribbon around with a bow the model or mannequin to begin. This is now your wasitband and it is the way you will get the tutu on and off. 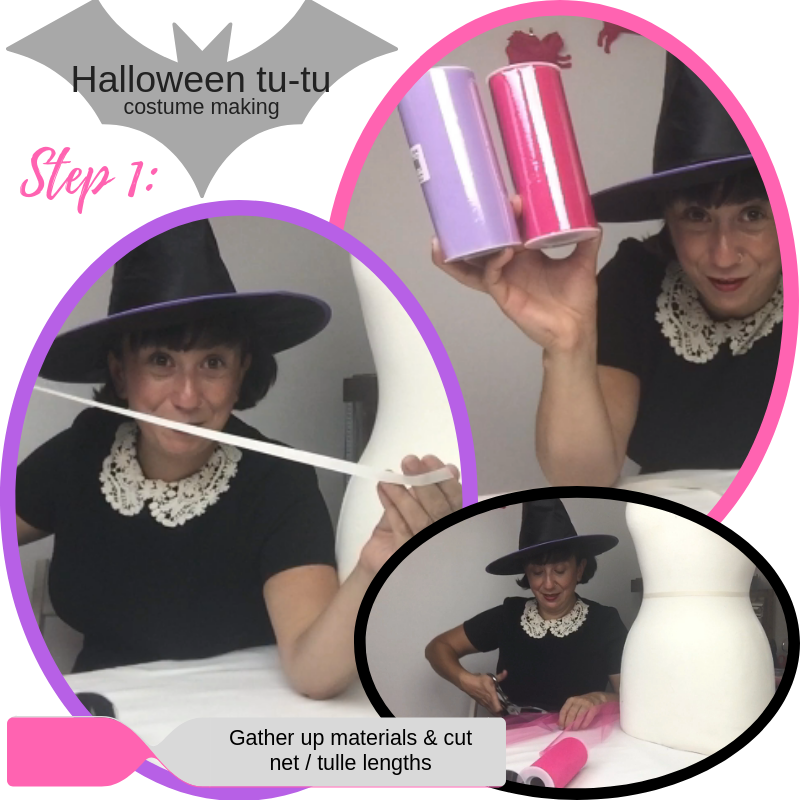 Step 2: Decide the colours you’d like to use and prepare the net lengths by simply opening up the tulle spools. Step 4: Repeat the above knots again and again! I used 3 spools! You can make yours as full or not as you like. 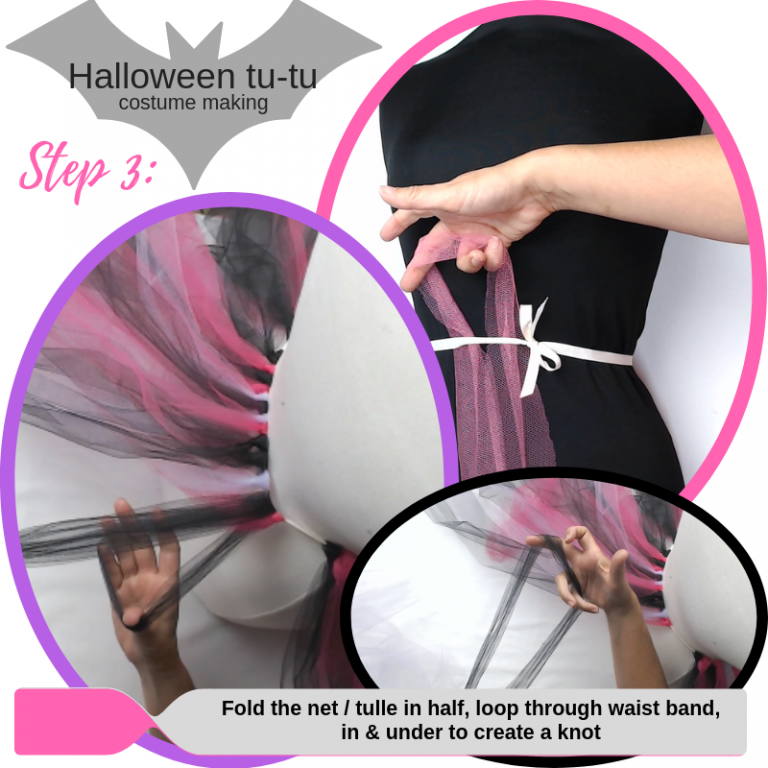 The more you push the tulle together the fuller it will be!